TBH, we love this scene, too! 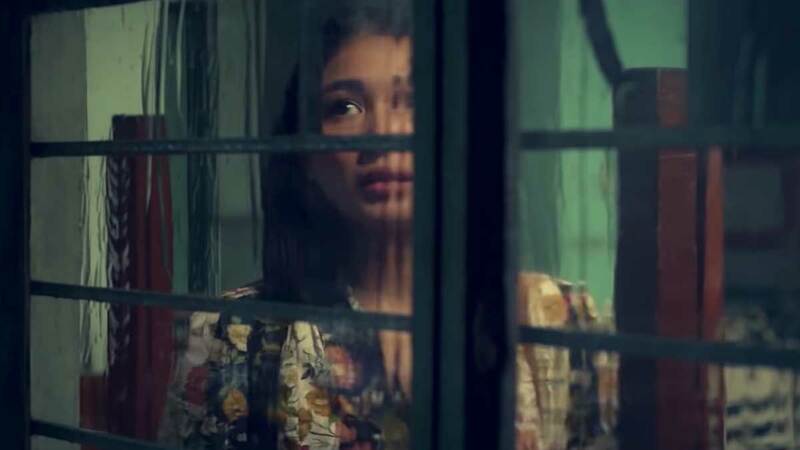 Nadine Lustre's new film, Ulan, is her first solo movie without love team partner and boyfriend James Reid. It tells the story of a woman named Maya, a hopeless romantic who goes through different stages of love. She's also had a *complicated* relationship with rain ever since she was a kid! The film is directed by Irene Villamor and also stars Carlo Aquino, Marco Gumabao, AJ Muhlach, and child actress Elia Ilano. During an interview with ABS-CBN, Nadine spilled the beans on her favorite scene to shoot from the movie: "Yung pinaka-favorite ko kasi na eksena dito yung bagyo na. May bagyo kasi dito. Alam ko kung gaano ka-effort yung eksena na yun and alam ko kung gaano kahirap i-shoot yun. So, very challenging siya for Direk Irene and para sa buong production team." SPOILER AHEAD: In the film, Nadine's character Maya confronts the tikbalang from her childhood who basically told her that "love conquers all," during a terrible storm. Nadine also shared that since Direk Irene handpicked her for the role, she felt honored and a ~little~ pressured. "I guess ang pinaka-challenge for me dito yung makuha ko ng saktong sakto yung character ni Maya kasi since it's an old script, matagal na siyang inumpisahan ni Direk Irene so kumbaga yung character kilalang kilala niya and siyempre para sa akin na napili niya, kailangan ma-perfect ko yung character."